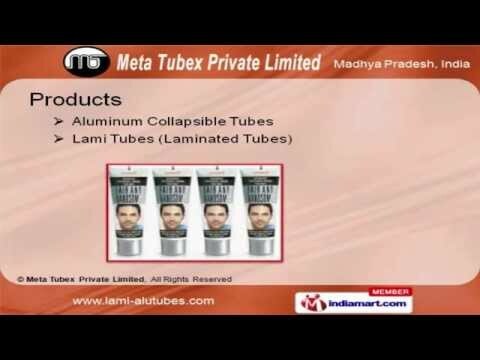 Welcome to Meta Tubex Private Limited, Manufacturer & Exporter of Aluminum Tubes and Cans Products. An ISO certified company, incorporated in 1984 at Indore. We cater to Pharmaceutical, Cosmetic, Glues & other segments. We are backed by expert professionals, world class quality standards and cost effectiveness. East Asia, Middle East and South East Asia are some of our major markets. We offer a wide assortment of Aluminum Collapsible and Lami Tubes. Aluminum Collapsible Tubes offered by us are well known for their efficiency. Sealant, Ophthalmic, Adhesive & Glue Tubes are widely acclaimed in the market. Our Lami Tubes are extremely reliable. Heena, Hair Color and Fairness Cream Tubes are nothing but the best solution for all your needs.